If I’m wrong, by all means let me know and I’ll post the biggest, most sincere correction ever. But until then, I’m going to come out and say it without even Googling around: An Auburn grad has become the first person in the world to try to crowdfund a rabbit from Atlanta to Kurdistan. Bassma Omar, who came to Auburn in July 2012 from Kurdistan, Iraq, as part of the Fulbright Scholar Program, recently graduated with a master’s degree in civil engineering. When she returned to Kurdistan at the end of January, she took with her a wealth of earned knowledge and an engineer’s title; however, she was forced to leave behind a floppy-eared friend to whom she still feels bonded despite that they are on opposite sides of the world. Two weeks ago, Bassma started an online campaign (#SaveOreo) in hopes of raising the $1,400 necessary to cover the costs of flying her pet rabbit Oreo from Atlanta to Kurdistan. Donors, anonymous or otherwise, can contribute any amount of money to the cause by visiting the campaign’s website. With 10 days left before the campaign expires, as of Friday night, donors had helped Bassma reach $418 so far—30 percent of the overall total. 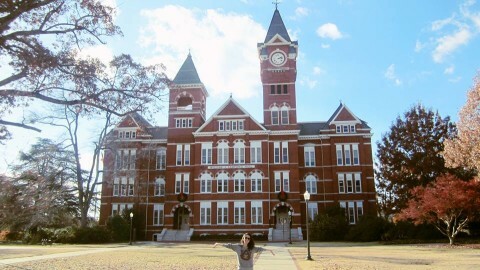 Bassma Omar in front of Samford Hall. You can read more about Bassma’s bunny here. And whatever you do, WATCH THIS AMAZING VIDEO. And for God’s sake, let’s #SaveOreo. 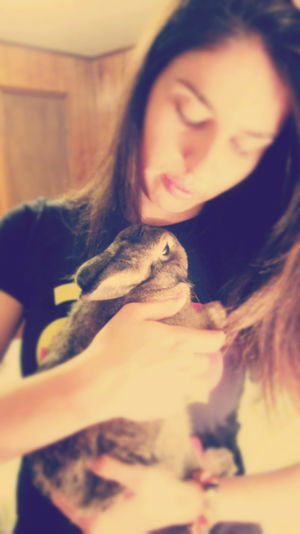 Related: Loveliest of the Plains–Bunnies in the Bushes.